Neat! All the prices have dropped a little bit in the past month! It’s of course way too early to say if this is the start of a trend or just a little blip in an otherwise upward trend, but I’m hoping this is at least as far as prices will go. It’s so strange to see hundreds of EarthBound listings all going for so much money, you know? 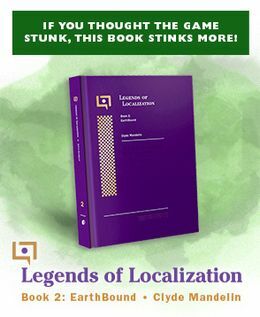 As always, check out buyearthbound.com if you’re thinking of buying a copy of EarthBound or the guide or the box or a complete set – it’ll save you lots of money! I’m glad to see the average price isn’t $200 now. Hopefully things will continue to get better with the prices. Not at all a drop really. If it goes down to $150, that’s a start. What were the prices like in 2005? I remember until 2010 $80 was a high price for the game. No, it doesn’t include shipping, but I guess the fact that some might include free shipping while others don’t might slightly sway things since free shipping is rarely really free. That’s something that’s really hard to account for though (if possible at all) so I just try to do the best I can and not include shipping. Thanks Mato. I should’ve bought the cart for 50 bucks when I had the chance. Oh well. I’ll snag a copy someday soon for less than 200.